Introduction. Trends in CGRA. CGRA for High Performance and Flexibility. Base CGRA Implementation. Power Consumption in CGRA. Low-Power Reconfiguration Technique. Dynamic Context Compression for Low-Power CGRA. Dynamic Context Management for Low-Power CGRA. Cost-Effective Array Fabric. 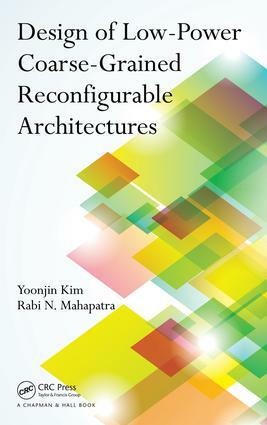 Hierarchical Reconfigurable Computing Arrays. Integrated Approach to Optimize CGRA. Bibliography. Index. Yoonjin Kim is an assistant professor in the Department of Computer Science at Sookmyung Women's University in Seoul, South Korea. Dr. Kim was previously a senior R&D staff member at Samsung Advanced Institute of Technology in Yongin, South Korea. He earned his Ph.D. in computer engineering from Texas A&M University. His research interests include embedded systems, computer architecture, VLSI/system-on-chip design, and hardware/software co-design.